Another great film music composer has died: Elmer Bernstein. Bernstein, a protégé of Aaron Copeland, began his career in the early fifties, earning his reputation composing music for classic B-movies like Robot Monster and Cat-Women of the Moon. In 1955 he wrote the music for Otto Preminger's controversial hit The Man With the Golden Arm, earning himself the first of fourteen Academy Award nominations. He quickly progressed to first division movies like The Ten Commandments, The Magnificent Seven and Thoroughly Modern Millie (for which he won an Oscar, in 1967). He was probably best known for his many Westerns, and become John Wayne's composer of choice (Bernstein scored eight of Wayne's best known films, including True Grit and Wayne's swansong, The Shootist). His eclectic credits included remarkable scores for The Amazing Mr Blunden, The Great Escape, National Lampoon's Animal House, Ghostbusters, Saturn 3, Devil in a Blue Dress and Airplane. He worked for a remarkable array of top directors during a career that spanned five decades, including Francis Ford Coppola, Jim Sheridan, and Stephen Frears. He was a regular contributor to the films of Martin Scorsese, John Landis and Ivan Reitman. I've written a review of Stephen Bochco's remarkable 1995 legal drama series Murder One, which is being released on DVD by Fox on September the 6th. Click on the sleeve image, right, or here to read my review. The set is released on September the 6th, with an RRP of £39.99. Best price for the set seems to be £29.99, which you can find at Play or Amazon. A couple of pages of menu screens for you today, to keep things ticking over! Click here for menu screens from one of the discs in the Thriller box set; or here for menus from two of the discs in the Star Trek - The Original Series box set. Before anyone asks - yes, the Thriller discs do have the original ATV idents, and advert bumpers, and no, the Star Trek discs don't have the original mono audio tracks on them, just the 5.1 remixes (at 384kbps). I'll have a closer look at the bonus features on disc eight of the Star Trek set for you tomorrow, along with some other bits and pieces. 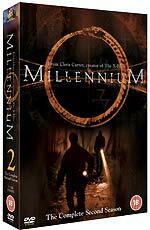 Fox has confirmed the full details of the forthcoming Millennium - Season 2 box set, which is being released on September the 27th. The six-disc set will feature all twenty-three episodes, including the two-part season finale (The Fourth Horseman and The Time Is Now), and two brilliant episodes written by Darin Morgan (Jose Chung's Doomsday Defense and Somehow, Satan Got Behind Me). The set will be presented in 4:3 format, with Dolby Digital 2.0 audio, and English HoH subtitles. Two episodes will feature commentary tracks (one, for The Hand of Saint Sebastian, by director Thomas J. Wright, and a second for The Mikado by writer Michael R. Perry). The set will also feature two featurettes: The Turn of the Tide - Making of Season 2 (34m) and Academy Group - Victimology (24m). Columbia Tristar has added a few interesting titles to their schedules: Superbit editions of Black Hawk Down, SWAT, The Missing and Once Upon a Time in Mexico, and a regular version of the popular 1981 slasher movie Happy Birthday To Me. These are due on October 25th. More details as they are released. Since we've just reviewed the new Pitch Black - Special Edition DVD (and are offering copies of the new disc as prizes in a competition), what better than to bring things up to date than a review of the film's sequel: The Chronicles of Riddick? You can read Lee's review by clicking the poster image, left, or here. 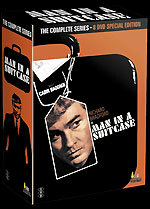 Umbrella Entertainment has announced the highly-anticipated release of the 1967-68 ITC action series Man in a Suitcase. Their eight-disc set will contain all thirty fifty-minute episodes, uncut and re-mastered. The series, about a discredited former CIA agent, turned -freelance investigator, named McGill, stars Richard Bradford. The set will feature audio commentaries and interviews with cast and crew members, extensive image galleries, memorabilia, original ITV publicity materials, trailers and cast profiles. The set will be presented in four double-disc cases housed in a hardcover box. The set is scheduled for October the 20th, with an RRP of AU$129.99 (about £50). Click here for a larger image of the provisional box artwork! You can discuss this release in this thread at Roobarb's DVD Forum. We have a new film review for you! Warner Brothers' comic strip spin-off Catwoman has been given a critical mauling just about everywhere. Find out if Lee's claws are out by clicking the poster image, left, or here. More tracks have apparently been added to the Elvis Costello video compilation Ceri mentioned last week. They are from Costello's Warner Brothers period: 13 Steps Lead Down and Sulky Girl (from Brutal Youth), Veronica (from Spike) and So Like Candy (from Mighty Like A Rose). 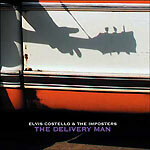 There's been no official announcement yet, but it's likely that VCI might be trying to get the disc out to coincide with the release of Costello's new album, The Delivery Man, due on September 21st. As expected, Warner Home Video is re-releasing fourteen Hammer films, which were previously available in box sets: Quatermass and the Pit, The Devil Rides Out, Rasputin - The Mad Monk, The Vengeance of She, Plague of the Zombies, To The Devil a Daughter, The Curse of Frankenstein, Frankenstein Created Woman, The Mummy, The Horror of Frankenstein, Lust For A Vampire, (Horror of) Dracula, Scars of Dracula, Blood From The Mummy's Tomb. The release date is October 11th. RRP for each disc is £7.99. It looks like Warner will be running a promotion at launch, offering two discs for £15. 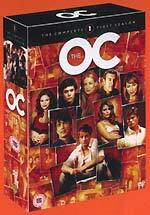 Warner Home Video is releasing the The OC - The Complete First Season on October the 18th. The teen drama series will be presented on DVD in 4:3 format, with Dolby Digital 2.0 audio and English subtitles. The twenty-seven episodes will be supplemented by more than an hour's worth of bonus material: Casting The OC; The Real OC; Season 2 Sneak Peak with creator Josh Schwartz; deleted scenes; The Music of The OC with music supervisor Alex Patsavas; music guide for episodes The Model Home, The Outsider, The Secret, The Countdown and The Telenovela; commentary on the pilot episode by Schwartz and Supervising Producer Stephanie Savage; and an Easter Egg. The seven-disc box set has an RRP of £59.99. The series returns to Channel 4 on September the 12th. Tartan Video has unveiled details of their four-disc Ring Box Set, which will be released on October the 25th. The set will feature re-mastered versions of Hideo Nakata's Ring and Ring 2, and Norio Tsuruta's Ring 0, as well as an exclusive extra fourth disc, Nakata's unseen 2000 fairytale Sleeping Bride (aka Glass Brain). The films will be presented with newly-mixed DTS and Dolby Digital 5.1 audio tracks, and will include deleted Ring 0 scenes; director interviews; trailers, and film notes by Kim Newman. The set will have an RRP of £39.99. Also due on October the 25th from Tartan is fourteen year-old Hana Makhmalbaf's remarkable documentary Joy of Madness, which chronicles her sister Samira's attempts to make a film of her own, against the backdrop of a country scarred by war, Afghanistan. The disc will feature a trailer, and DTS and Dolby Digital 5.1 audio tracks, and will have an RRP of £14.99. The latest film by Miike Takashi to be scheduled for release by Tartan is his David Lynch-flavoured Yakuza horror film Gozu. The disc, due on the 25th of October, will feature a trailer, and a choice of Dolby Digital 5.1 and DTS audio mixes. Future Asia Extreme titles from Tartan will include A Tale of Two Sisters, on November the 15th, and Internal Affairs 2 on December the 27th. Tartan has made some changes to its Ozu box set, which was scheduled for September the 26th. They've broadened its remit to encompass the work of actress Setsuko Hara. The set will now feature the three films that make up the Nariko Trilogy (which all feature Hara): Late Spring, Early Summer and Tokyo Story. The set will now be released on November the 22nd, with select scene commentaries by leading film critics, including Chris Drake, Philip Strick and Geoff Andrew. The previously-announced Flavour of Green Tea Over Rice will now be featured in a second box set, to be released next year. Metrodome will release Bus 174, John Padilha's award-winning documentary about a 2000 Rio de Janeiro bus hijacking, on DVD on September the 20th. The disc will feature an extended, 140m version of the film (twenty minutes longer than the theatrical release) and bonus features, including a Making of... documentary (30m), an interview with Padilha; forty minutes of additional interviews (with sociologist Luiz Eduardo Soares, social worker Yvonne Bezerra, Julueta do Nascimento (hijacker Sandro de Nascimento's maternal aunt), and an anonymous professional robber); assistant director Alexandre Lima's Social Frontiers Photography Exhibition; a trailer; and optional English subtitles. The disc will have an RRP of £19.99. 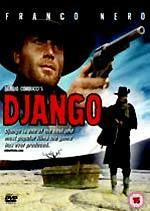 New label Argent Films will release Sergio Corbucci's great spaghetti Western Django on DVD on September the 27th. The film, which has apparently been fully-restored, and transferred in anamorphic widescreen format from the original camera negative, will be supplemented by an exclusive introduction by filmmaker Alex Cox, brand new interviews with star Franco Nero, a theatrical trailer, and trailers for Argent's other forthcoming spaghetti Western releases. Argent are also releasing a double-bill of two more Franco Nero Westerns: Enzo G. Castellari's Keoma, and Ferdinando Baldi's Texas, Adios. These, too, are due on September the 27th, and the two-disc set will have an RRP of £19.99. The discs will feature introduction by Alex Cox. an "extensive" interview with Castellari, and trailers. Argent Films recently released Gillo Pontecorvo's landmark documentary The Battle For Algiers on DVD. Other than that I know nothing about them. Belated news: BBC Audiobooks has announced that it has won the rights to release the two new Hitchhiker's Guide To The Galaxy series on cassette and CD. The two series will encompass the final three novels in Douglas Adams' trilogy of five novels, and will feature the main cast members of the original series, with William Franklyn taking over from Peter Jones as the voice of the Guide. The first episode is being broadcast on Tuesday 21st of September at 6.30pm. The series will be released on CD and cassette on October 28th. The press release promises "some 'exciting ventures in new audio formats'...later on", widely believed to be a reference to a Dolby Digital 5.1 DVD-Audio release. Play.com is listing current theatrical hit I, Robot for release on December the 3rd, as a two-disc Special Edition. They have the RRP as £24.99, and are offering it for ore-order for a pretty reasonable £15.99. Here's their listing. There'll also be a cut-down single-disc version that has an RRP of £15.99. Here's Optimum's release schedule for the next couple of months. Note that the Alec Guinness film The Captain's Paradise, which was scheduled for September the 21st, has been postponed. A lot of material presumably due for Fox's The Day After Tomorrow DVD has been certificated by the BBFC: Eye of the Storm - Filming The Day After Tomorrow (69m); The Day After Tomorrow - Interactive Demo (14m); The Day After Tomorrow - The Final Mix (9m); deleted scenes (17m); Pushing The Envelope - Visual Effects (32m); Scoring (10m); Pre-Visualisation - Concept Animatics (5m); Pre-Production Meeting - Roland Emmerich and Mark Gordon (7m); Inside Look - Behind The Scenes (2m) and The Science and Politics of Climate Change (60m). It looks like Fox's UK division is planning another Region 1-beating two-disc DVD set (as they did with The League of Extraordinary Gentlemen), since the US disc, which is due on October the 12th, looks like it will only feature an interactive sound demo - The Final Mix? - and deleted scenes. (It will also feature two commentary tracks, by director Roland Emmerich and Producer Mark Gordon, and by Writer Jeffrey Nachmanoff, Cinematographer Ueli Steiger, Editor David Brenner and Production Designer Barry Chusid, which will presumably also be on the UK DVD). The big question remains, though: will the UK get the US disc's snazzy lenticular sleeve art?! The latest film to hit the IMAX screen at London's South Bank is Spider-Man 2, so if you haven't seen it yet, or want to see it again, on a screen that's four stories high, with 12,000 watts of digital audio oomph, this presents an ideal opportunity! (You can read our report on the IMAX Experience screening of Matrix Reloaded here). The film opens on August the 27th. They're taking bookings now, on 0870 787 2525, or via their website. Three very belated formal announcements, from the BFI, wouldn't usually cut much ice here, especially when they've been listed by the retailers for some time, but the press releases arrived with these terrific sleeve images, which I don't think have been widely circulated, so I'm cutting them a break! These titles are due on August 30th, with an RRP of £19.99. 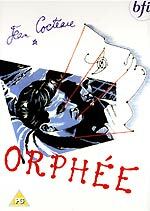 Jean Cocteau's mythic 1950 masterpiece Orphée, which was recently re-released at selected venues, using a new print. The film will be accompanied by a commentary track by Doctor Roland-François Lack (lecturer in the Department of French at University College, London); a sixty-minute documentary, Jean Cocteau: Lies and Truths; and biographies of Cocteau and the cast members. 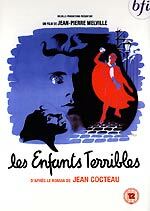 Writer Cocteau clashed with director Jean-Pierre Melville on the 1950 sibling drama Les Enfants terribles. The result was a sublime film, which was very influential on Bertolucci's recent arthouse hit The Dreamers. So much so, in fact, that that film's writer, Gilbert Adair, is providing a commentary for Les Enfants terribles. Other bonus features include an interview with actress Nicole Stéphane, and biographies of Melville and Cocteau. 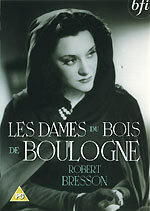 Les Dames du Bois de Boulogne, Robert Bresson's 1945 noirish love triangle drama, will feature biographies of Bresson, Cocteau and actress Maria Casarès. All three films will be presented in full-frame (1.33:1) format, in French, with English subtitles. Sleeve notes for Orphée and Les Enfants terribles are by Philip Kemp. Notes on Les Dames du Bois de Boulogne are by French cinema specialist Keith Reader. RRP for each title is £19.99.